The Mirage III is a single engine supersonic deltawing-fighter jet capable for air-to-air, air-to-ground (nuclear) missions and reconnaissance. The Mirage III was developed by the French company Dassault for the French Air Force as a new interceptor in 1953. The Mirage III was the first West-European operational fighter jet which could fly Mach 2. 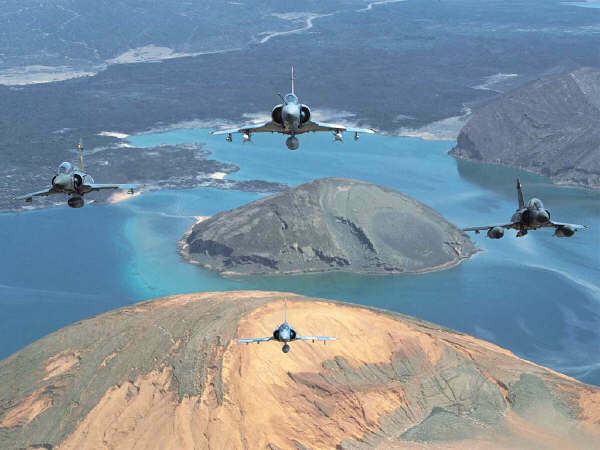 The aircraft is the basic model for the other aircraft: Mirage IV, Mirage 5 and Mirage 50. More than 1400 Mirage III/5/50 aircraft have been build in 90 different versions which are/were in service with the air forces in 21 countries.